Did you know that Toronto Fire and Rescue responded to 417 fire and emergency calls last financial year? 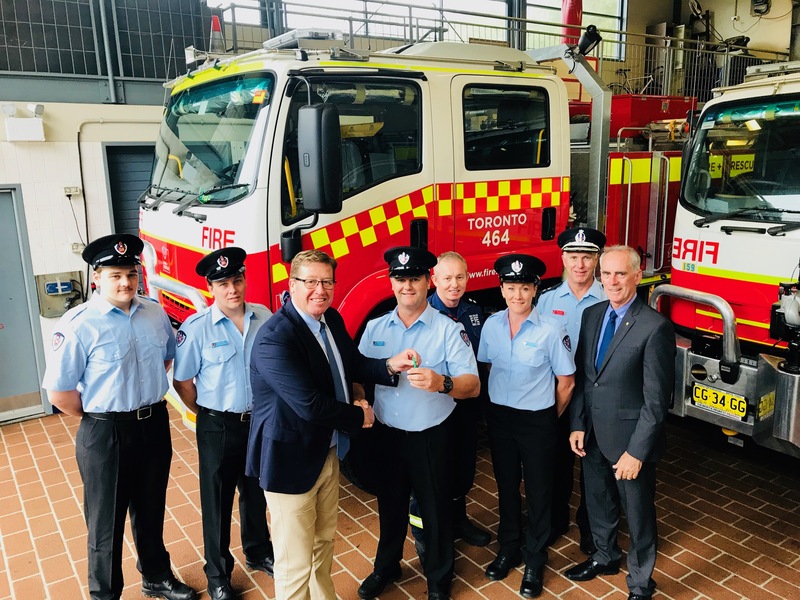 The crew does an amazing job, which is why I was really happy to welcome Police and Emergency Services Minister Troy Grant to Lake Macquarie today. The Minister was here to officially deliver two new fire tankers - one to the rural brigade at Killingworth and a new $310,000 tanker to Toronto Fire and Rescue. These new multi-purpose tankers enable firefighters to access fires in difficult terrain. They also have a water spray protection system which can be operated from the cabin to protect crew. I'm really pleased that Minister Grant and the NSW Government are providing our crews with the best resources possible.